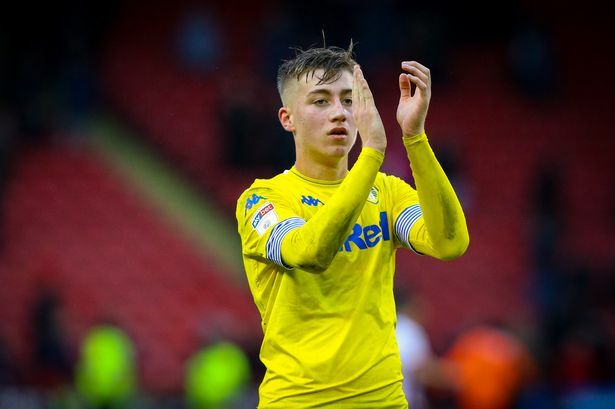 Reds keeping tabs with Leeds United attacker Jack Clarke and ready to compete with Chelsea for the footballer. Merseyside club have problems in the front-line and new creative winger is necessary. England international is the perfect option in this situation as he has an excellent season and paid big clubs attention. German manager will do everything to add him during the summer transfer window. Blues also keen to sign him and there will be a real battle for the player. His price could increase and become much more. Jack is a product of the Peacocks youth academy and spent his current career with them. He is a very talented footballer and can achieve big success if he continuous improvement. In this campaign, Clarke already played 16 games, scored 2 goals and made 2 assists in all competition. This is an impressive result and he can improve his consequences with high-class partners. The 18-year-old forward is contracted with the English club until 2021. Liverpool set to pay big money for the footballer during this summer as Lazar Markovic moved to Fulham, Dominic Solanke joined Bournemouth and their replacement is necessary. Reds signed several footballers last summer like Xherdan Shaqiri from Stoke City, Fabinho from Monaco, Naby Keita from RB Leipzig and Alisson Becker from Roma. Merseyside club also linked with Real Madrid midfielder Isco, Napoli centre-back Kalidou Koulibaly, Lyon attacker Nabil Fekir and Cagliari starlet Nicolo Barella. Jurgen wants to improve the squad much more and win many titles with the English club.